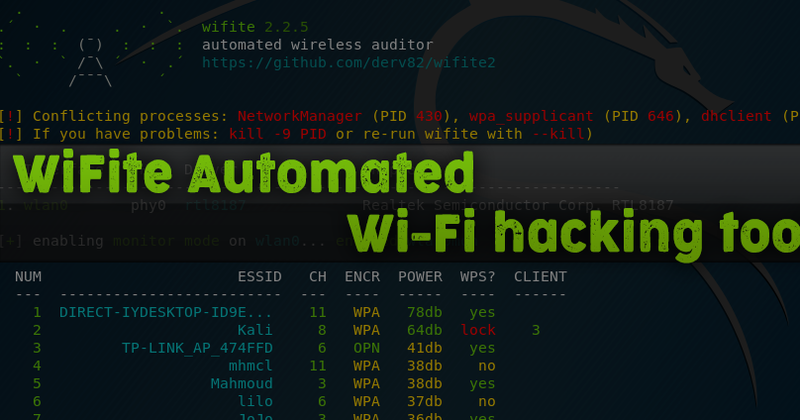 WiFite Description A tool for automated wireless attack. Wifite works only on Linux. Wifite was created for use with penetration testing distributions, such as Kali Linux, Pentoo, BackBox; any Linux distributions with wireless drivers patched for injection. It seems to also work on Ubuntu, Debian and Fedora.